I have discovered that Spain is a country of immense diversity. Geographically it is quite magnificent with green forests in the rainy north, mountains and vast plains in the central regions and deserts in the extreme south east. 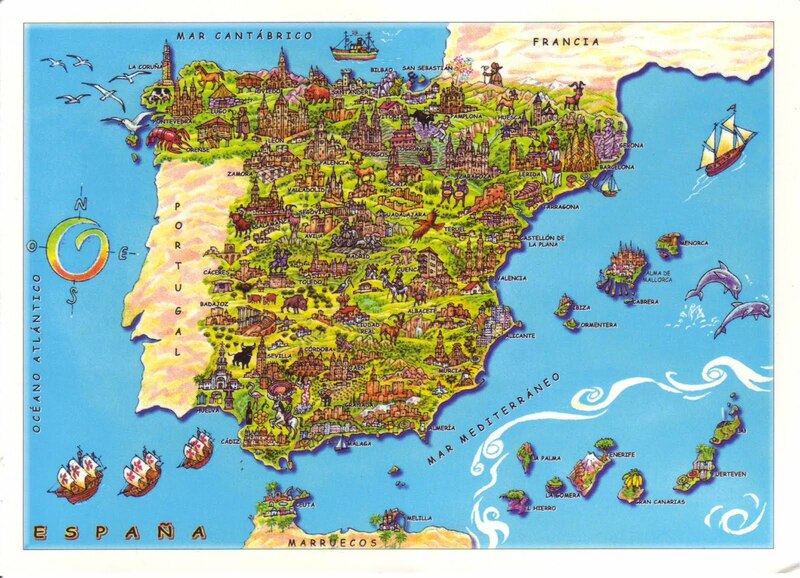 With an area of just over five hundred thousand square kilometres Spain is the second largest country in Western Europe after France and with an average altitude of six hundred and fifty metres it is the second highest country in Europe after Switzerland. Although today Spain is a single nation it has historically been a country of different people and the description ‘Spaniard’ once seemed just a convenient way of bundling them all together. Richard Ford was a nineteenth century English traveller in Spain and in his ‘Handbook for Travelers in Spain’, published in 1845, acknowledged now as one of the very first travel guides, was one of the first to identify that ‘Spain is a bundle of local units tied together by a rope of sand’, and Gerald Brennan in ‘The Spanish Labyrinth’ similarly observed ‘In what we may call its normal condition Spain is a collection of small, mutually hostile or indifferent republics held together in a loose federation’. ¡Tus fotos también son estupendas! I will keep your blog in mind when I go back therefor a month next month. I don’t know if I have a lot of time sightseeing though. I can probably get at least one major ciy. Come visit (more of) Andalucia! I’ll need to come back several times to read all about your Spainish travels. Thanks. I haven’t finished yet – my plan is to visit every region of Spain and I still have a long way to go! I agree that Spain is a very diverse location, and you can go on exchange to the North and have a completely different experience from the South (or East…etc). That’s why it is so rewarding! I wish more youth would be exposed to such a great country! Hello, Andrew! How are you? Thanks Victor. I suppose I was talking from a historical rather than a modern day perspective. I still have a lot of Spain left to see. I was in Catalonia in 2014 and that seemed to be a different country to me! Anyway, I love your country and hope to return soon. I have a couple of regions left to visit, Navarre and Rioja. I nearly forgot your question – I am 60. Which part of Spain are you from? Hi, just found this blog post about Spain. We are planning touring Spain for about 6 weeks later in the year so this is great ‘planning’ reading. I love reading about other people’s adventures while planning our! I am certain that you will have a wonderful time. Thanks for stopping by.